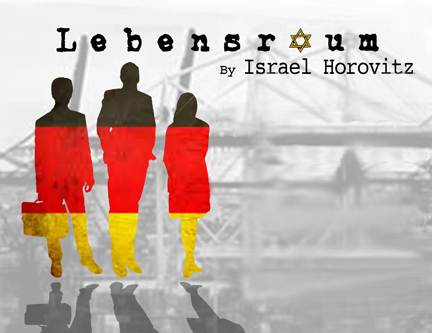 Hub Theatre Company of Boston is launching its debut season with a production of “Lebensraum,” by award-winning Massachusetts playwright and screenwriter Israel Horovitz. Performances are scheduled for March 29 - April 14 at The First Church of Christ of Boston, 66 Marlborough Street in Boston’s Back Bay. In this compelling “what if?” story, the German government extends an unprecedented gesture of goodwill to the Jewish people, resulting in unintended political, social, economic and personal consequences on both sides. “Lebensraum” asks theatergoers to contemplate their own moral code, forcing them to confront complex ethical dilemmas while inspiring them to forgive but never forget. Directed by the Hub’s cofounder and Artistic Director, John Geoffrion, the company features Jaime Carillo, Lauren Elias and Kevin Paquette, who will bring to life more than 40 characters. Born in Wakefield, Horovitz is the author of such plays as “The Indian Wants The Bronx,” “Park Your Car In Harvard Yard,” “It’s Called The Sugar Plum” and “The Widow’s Blind Date.” His screenplays include “Author! Author!” (starring Al Pacino), The Strawberry Statement” and “James Dean” (starring James Franco). He is founding artistic director of Gloucester Stage Company. Among his own children are a film producer, a television producer, and a Beastie Boy. Dedicated to cultivating a diverse audiences spanning all ages and background, Hub Theatre Company has designated all tickets for this run of “Lebensraum” to be priced as "Pay What You Can." For tickets and information, visit www.hubtheatreboston.org.